i Click 'view all' to instantly compare this ok deal with offers on other top cookie cutters. 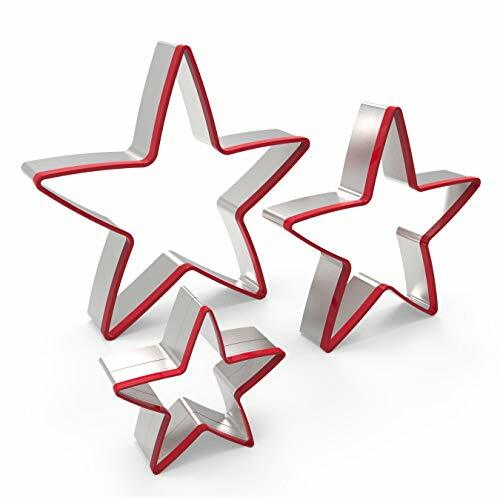 FASAKA 3pc Stainless Steel Large Star Cookie Cutters Set, Food Grade is currently selling at $7.99, which is its normal price. It has a lowest price of $7.99 and is selling within its usual range. Price volatility is 0.15% (meaning it does not change often), so you might have to wait a while for the price to drop. Until then this is a recommended 'ok deal'. The current deal is also the best price on this item over the last month. 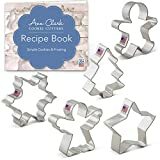 Compare the current price, savings (in dollars & percent) and Buy Ratings for the top Cookie Cutters that are closely related to FASAKA 3pc Stainless Steel Large Star Cookie Cutters Set, Food Grade . Here is how FASAKA 3pc Stainless Steel Large Star Cookie Cutters Set, Food Grade compares with other leading Cookie Cutters. 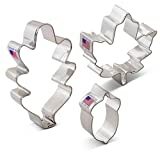 Description 3-in-1 Star Cookie Cutter Set Contents: 1 large, 1 medium, and 1 small star-shaped cookie cutters Certifications: CIQ, EEC, CE/EU, FDA, LFGB, SGS Material: Stainless Steel and PVC Dimensions Large: 5.1 x 5.1 x 1 inches Medium: 4.1 x 4.1 x 1 inches Small: 3 x 3 x 1 inches Features? MAKE BAKING FUN: This 3-piece set of star cookie cutters allows you to effortlessly create beautiful stars of deliciousness. Easy to use, even for kids; precisely press cookie dough, sandwiches, bread, or anything else into perfectly-shaped stars. Great for holidays, birthdays, and packed lunches.? HIGH QUALITY MATERIALS: Food grade stainless steel and eco-friendly PVC. Packaged in hardshell box and Kraft paper.? 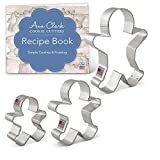 3-IN-1 SET: Includes three different-sized cookie cutters; large (5.1 x 5.1 x 1 inches), medium (4.1 x 4.1 x 1 inches), and small (3 x 3 x 1 inches).? NOTE: Wash before first use. Rinse and wash before use. Always wash by hand, not dishwasher-safe.